This month's chart (the first of 2014, due to complications in January!) 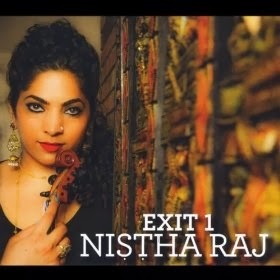 includes lots of new names, starting with Nistha Raj and her new take on Hindustani music, a take which includes human beatboxing. Yes, you read that right. You'll also find music from China, West Africa, Madagascar, Brazil, and a wonderful Roma-flavored combo of guitar and bras from Adrian Raso and Fanfare Ciocarlia. Explore, listen, enjoy!